HCW Development and Statesman Group announce the Opening of a 109 room TownePlace Suites by Marriot in Chandler, AZ. New 109 unit TownePlace Suites by Marriott opened today on the corner of Chandler Blvd and Hearthstone Way in Chandler, AZ. Project owners include HCW Development of Branson, MO and Statesman Group of Phoenix, AZ. This same duo brought The Met at Fashion Center luxury apartments to Chandler, AZ in the fall of 2015. The TownePlace Suites development is located on two acres adjacent to the 303 unit Met at Fashion Center. The architectural style and Marriott branding are intended to compliment the building designs of the luxury apartment development. The hotel incorporates Marriott's newest generation of designs and amenities into a four story, 109-guest room hotel. The hotel amenities include an exterior pool, sun deck fire pit, water feature, exterior dining patio, fitness room, lobby, breakfast and business center areas and boardroom. The pool area decking incorporates a BBQ and fire pit area for guests to enjoy and socialize. Each suite will have a mini kitchen for the guest's convenience. The hotel is centered on the south end of the property with primary access off of Chandler Boulevard. Rick Huffman, HCW CEO stated, "I am excited about another project in Chandler and am looking forward to more things to come soon." Project team includes Layton Construction of Phoenix, AZ as the contractor. Architects, Butler Rosenbury and Partners of Springfield, MO, who also designed the Scottsdale Hampton Inn and many other projects for HCW Development. Project financing provided by First Bank of Chandler. HCW, LLC is a nationwide development company with offices in Wichita, KS, Branson, MO, and Phoenix, AZ. For more information about HCW, LLC, please visit www.HCWDevelopment.com or call 417.332.3400. 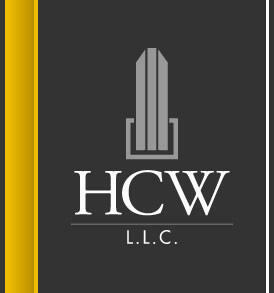 HCW, LLC is a development company and a construction management company committed to preserving and accentuating the natural beauty and unique characteristics of the communities in which it works. Headquartered in the dynamic tourism town of Branson Missouri, HCW’s developments reach out to bring top-quality commercial and residential projects into several states as well as Missouri, completing over 2 billion dollars in real estate development. The character of the area is always taken into account in HCW developments. New construction blends harmoniously with existing structures, and rehabilitation projects bring freshness and up-to-date convenience to established structures. HCW projects can bring innovation, excitement and a new outlook to communities as they move into the future. HCW takes the time to learn about each community before it proposes a project. Its staff researches the history, evaluates the economy and matches projects to community needs and wishes. HCW prides itself in delivering it’s projects on time & on budget. More information about all HCW projects or HCW construction management is available by calling the HCW corporate office at 417.332.3404 or emailing to info@hcw.us. Requests for proposals can be obtained at the same number and address. HCW Development Announces Land Closing on Development of a 100-Room Aloft Hotel in Glendale, AZ. GLENDALE, Ariz. (July 26, 2017) – HCW, LLC announced today the land closing for the development of a 100-room, four-story Aloft Hotel located at the southwest corner of Glendale and 93rd Avenues in Glendale, AZ. The 2.4 acre property is located adjacent to the Westgate Entertainment District, one of the premier entertainment destinations in the region. The mixed-use Westgate Entertainment District is anchored by a 20-screen AMC Theaters and Dave & Busters, and is adjacent to the 400,000 square foot Tanger Outlets. Westgate is next to the Gila River Arena, home of the Arizona Coyotes, and adjacent to the University of Phoenix Stadium, home to the Arizona Cardinals. iStar Inc., the owner of Westgate Entertainment District and virtually all the developable land remaining in the Westgate planning area, was the seller of the parcel. “The development of the Aloft Hotel continues our strategic progression of building out the Westgate project in a variety of manners, following our joint-venture development of the Tanger Outlet mall, our development of the Dave & Busters building next to the AMC Theater, and most recently our ground-lease of the southeast corner of Glendale and 95th Avenues for the wildly popular Dutch Bros. coffee chain,” said David Sotolov, Executive Vice President and Head of West Coast Investments for iStar. 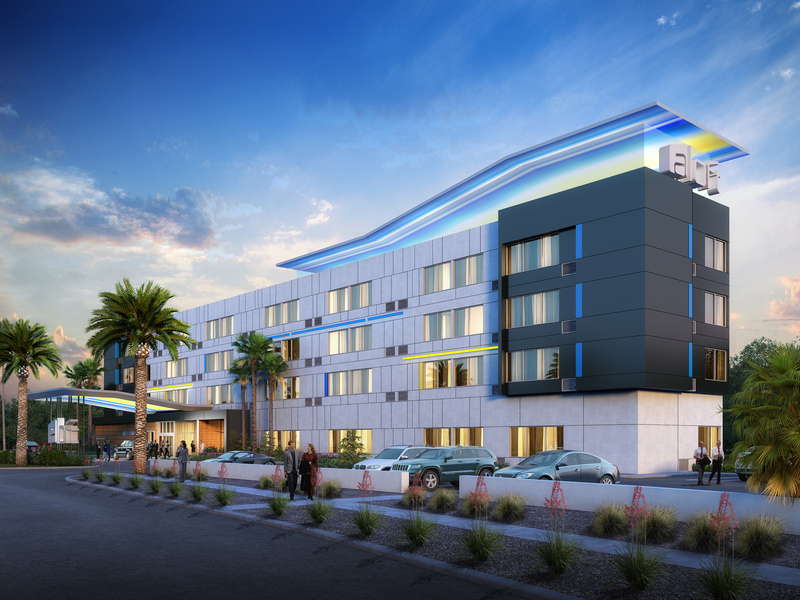 “We are excited to bring the Aloft brand to this thriving part of Glendale, Arizona. The Westgate Entertainment District is the perfect location for Aloft’s business model providing a hip modern atmosphere at an affordable price,” said Rick Huffman, HCW CEO. Aloft Hotels owned by Starwood Hotels & Resorts has taken the lodging industry by storm offering urban, modern design and a hip social experience all at an affordable price. Catering to the next generation of travelers, Aloft is experiencing strong guest satisfaction scores, receiving third-party recognition and stealing market share. The phenomenon that went global within six months of creation is now in 18 countries across 4 continents with a portfolio of 126 hotels in 2016. Aloft Hotels has been an innovative brand since its inception in 2008. From design to programming to food and beverage, the brand has revolutionized the way the staid hospitality landscape approaches the guest experience. Keyless check-in? They were first. Robotic butler? Check. Global music programming? (Mic) Check. And with more than 126 hotels around the world, there are no signs of slowing down. HCW’s project team currently includes Erickson & Meeks Engineering, LLC from Phoenix, AZ and architects, Butler Rosenbury and Partners of Springfield, MO, who also designed the Scottsdale Hampton Inn and many other projects for HCW Development. HCW, LLC is a nationwide development company with offices in Wichita, KS, Branson, MO and Phoenix, AZ. For more information on Westgate Entertainment District and to see what’s happening today, visit www.westgateaz.com. For more information about HCW, LLC visit www.HCWDevelopment.com or call 417-332-3400. Located in Glendale, Westgate Entertainment District is the premier entertainment destination of the West Valley and a place where people come together for dining, nightlife, shopping, community events, business, concerts, sporting events and celebrations of all kinds. Offering a vibrant outdoor setting with a dancing water fountain and jumping fountains for kids, Westgate delivers an interactive experience day or night. Located just east of the Loop 101 on Glendale Avenue, it encompasses more than 30 restaurants, retailers and entertainment venues including Dave & Buster’s, Bar Louie, Buffalo Wild Wings, Yard House, McFadden’s, Kabuki Japanese Restaurant, Johnny Rockets, IT’SUGAR and the state’s largest AMC Theatres featuring 20 screens. More than 250 events take place here a year ranging from live music every Friday and Saturday night at Fountain Park to Bike Nights, Hot Rod Nights, Fitness in the District, a holiday ice rink and fan experience events. No matter the season, there is something fresh, fun and exciting always happening at Westgate. Westgate is also anchored by Gila River Arena, home to the NHL’s Arizona Coyotes, headlining concerts and major events, and is adjacent to the University of Phoenix Stadium, home to the NFL’s Arizona Cardinals. For more information, a tenant directory or to see what’s happening, visit www.westgateaz.com. iStar (NYSE: STAR) finances, invests in and develops real estate and real estate related projects as part of its fully-integrated investment platform. Building on over two decades of experience and more than $35 billion of transactions, iStar brings uncommon capabilities and new ways of thinking to commercial real estate and adapts its investment strategy to changing market conditions. The Company is structured as a real estate investment trust ("REIT"), with a diversified portfolio focused on larger assets located in major metropolitan markets. Additional information on iStar is available on the Company's website at www.istar.com. ©2007 HCW Development, LLC. All Rights Reserved.